This is my second time reading this book; the first time I didn't give it the attention it deserved, and I read the pages without really allowing the words to sink in. How I could not realize its true brilliance back then, I will never know. "A Room with a View" is such an absurdly comical, lovable and endearing little book; every word on every page is chosen with care and perfect accuracy. 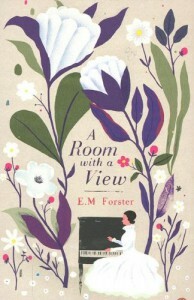 In the course of 200 pages, Forster manages to portray a playful tumult of vivid characters, describe an inner confliction, an offer of love, a rejection and a renewed love. The story has hints of feminism and social critique as well - all this, within less than 200 pages. It is impressive and it is beautiful.